This is one of the first recipes that we made from Elise’s site. 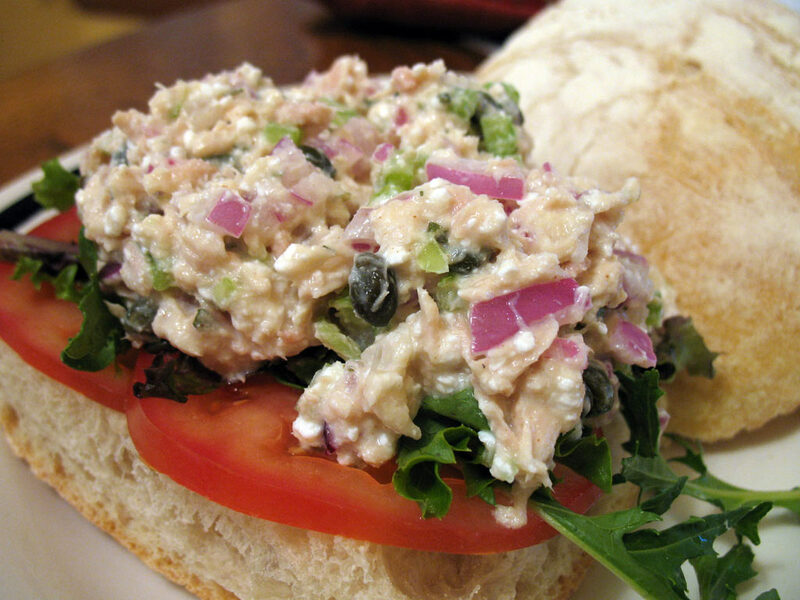 We were both suspicious of using cottage cheese in tuna salad, but this remains our favorite way to make it — it’s delicious! Only modifications from Elise’s recipe is that we drain the oil from the tuna and we use light mayo. This entry was posted on Monday, June 4th, 2007 at 9:06 pm	and is filed under Main Dishes. You can follow any responses to this entry through the RSS 2.0 feed. You can leave a response, or trackback from your own site.